Mike Wright is Professor of Financial Studies and Director of the Centre for Management Buy-out Research at Nottingham University Business School, UK and Visiting Professor at Erasmus University, The Netherlands. Paul Westhead is Professor of Entrepreneurship at Warwick Business School, UK and Visiting Professor at Bodo Graduate School of Business, Norway. 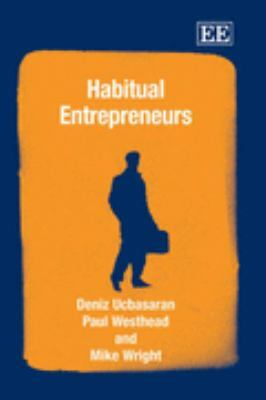 Deniz Ucbasaran is Associate Professor in Entrepreneurship at Nottingham University Business School, UK.Ucbasaran is the author of 'Habitual Entrepreneurs ', published 2006 under ISBN 9781845422493 and ISBN 184542249X. Loading marketplace prices 5 copies from $25.98 How does the rental process work?